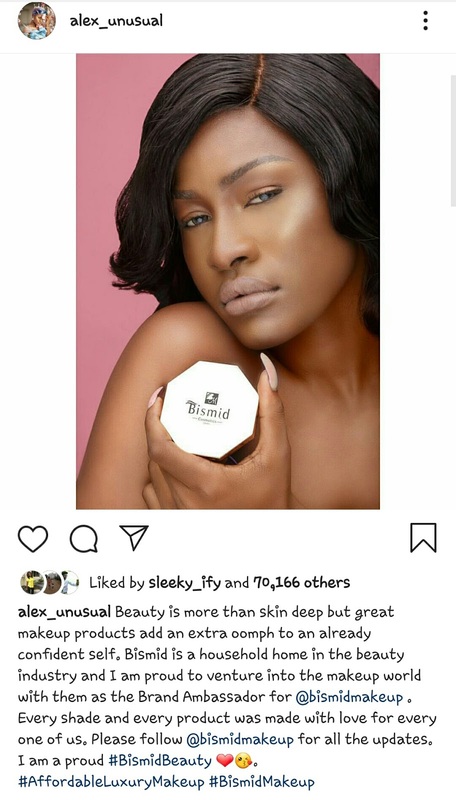 Just few days after being announced as the brand ambassador of Italian liqueur brand, Campari, Reality TV star, Alex Asogwa, has bagged another brand ambassadorial Deal with top makeup company, 'BisMid Makeup'. The 24yr old took to her Instagram page to share the good news. 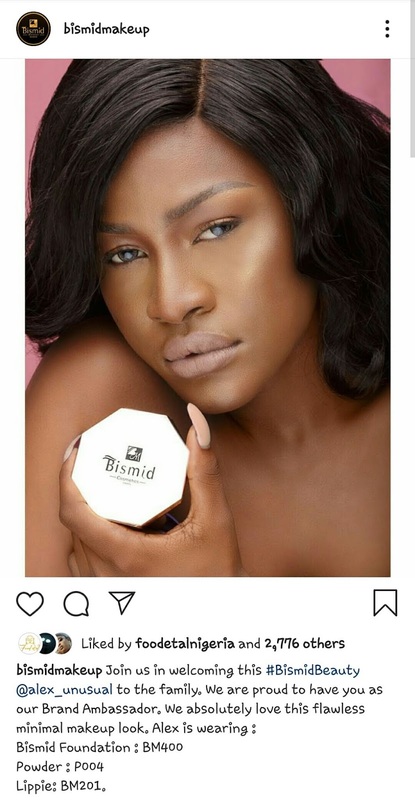 BisMid makeup also took to their official Instagram page to announce the new signing.